This week, we are just returning from the whirlwind Florida adventure that is the annual AIRC and ICEF conferences. This is our 9th year taking this trip, connecting with colleagues, sharing ideas, presenting new data and working together to drive innovation. There was much discussion around emerging digial marketing techniques, assessment of our current global political situation and the students who are at the heart of it all. As with all higher ed conferences, we find ourselves loving the swirl of new ideas, invigorated, encouraged and looking to share our experience with all of you. 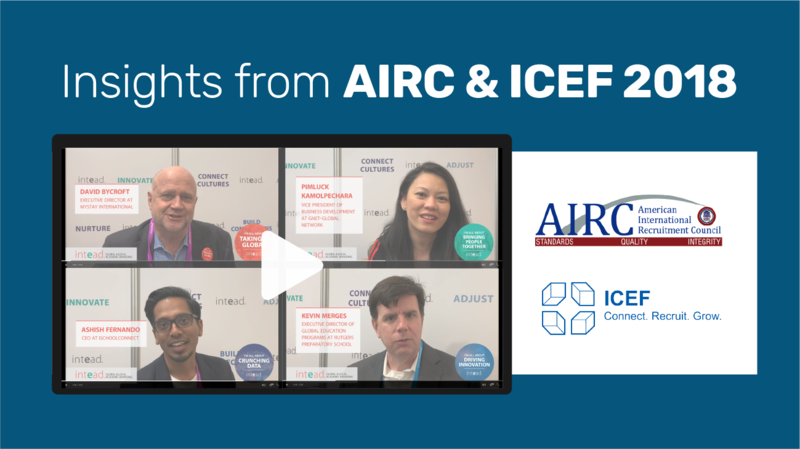 I invite you to have a quick read through some of the insights from the two conferences and scroll down to enjoy a brief video we produced with several industry friends and colleagues who each have a deep and unique expertise in areas including: launching global brands, innovating, connecting people around the world and crunching data. You can’t do international student recruitment well unless you get (as in understand) international students. Given the diversity of this population (we’re talking millions of unique individuals from all around the world, after all!) — really getting international is easier said than done. The longer you do this kind of work, the better you understand international students’ motivations, goals, and experiences on U.S. campuses. That understanding can shape your international personas, which should in turn shape all of your communications. Knowing your market is a career-long pursuit—you never finish learning as markets continually change. We are in a changing market environment right now. Student mobility is shifting. Canada is hot. The US is strong as a destination but seeing declining numbers. More countries are investing in recruiting activities (Germany, India, China, Japan, Russia, to name just a few). Ensuring your international student recruitment strategy incorporates the voice of the international student is more important now than ever. This is what it is about right now: Disseminating believable messages of student academic and, more importantly, career success is vital to your recruitment efforts. There’s no better source of authentic information than the students living and learning on your own institution’s campus. And what better source than students studying business communications and journalism? 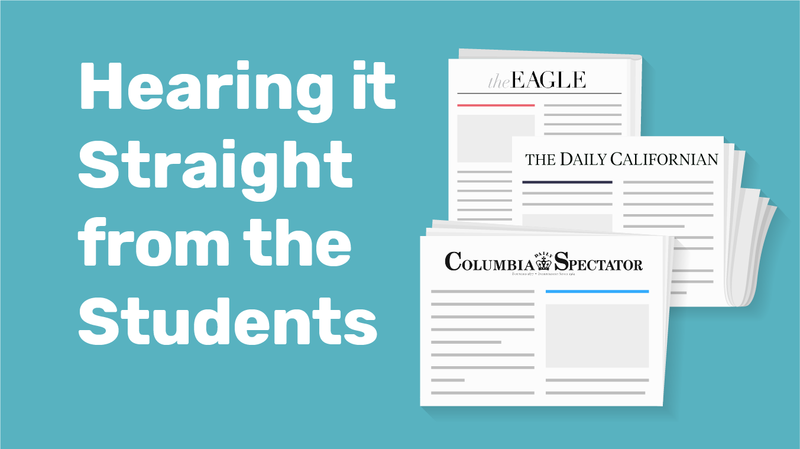 This week we share the thoughts of three talented international student columnists to follow for extra insights. On this American Independence Day, we figured you might enjoy something you can read while lounging poolside, lakeside, with an ocean view, or in the shade while waiting for the grill to heat up. Consider this: who will you share this marketing insight with on your campus to get your institution's brand a bit more global attention? Kudos to these three journalists. And happy reading! So many international student lead generators….so few real conversions. The challenging truth is that there are no simple fixes to global marketing, though many companies pitch them. List providers and university search sites offer an understandable allure to over-worked and under-resourced student recruitment professionals: thousands of leads, obtained with the swipe of an institutional credit card. But like everything else that sounds too good to be true, there’s a catch. Kind of a big one. Give this week's post a read and consider the value of unique lead generation campaigns – and then attend our session at NAFSA to learn how you can pitch the idea and build internal support for all of your international recruitment efforts. Join us at our session: "Who's Got Your Back? 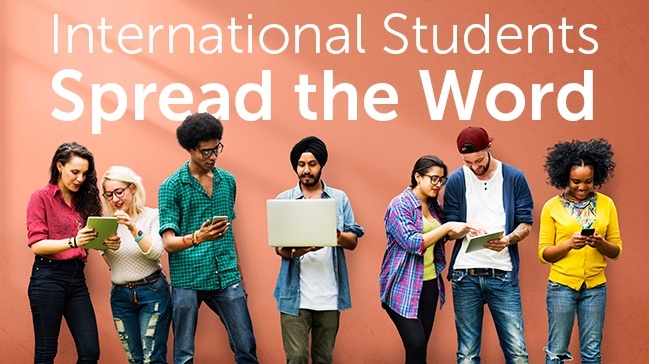 Building Internal Support for International Recruitment" on Wed, May 30 at 1 pm with Dr. Martyn Miller, Assistant Vice President for International Programs at Temple University and Dr. Jon Stauff, Vice Provost for Global Education at Monmouth University. For those of you who were at Nafsa (that was already a week ago! ), we know you are still struggling to catch up with everything now that you are back (at least we are!). We hope you are taking time to enjoy an iced drink and breathe instead of getting caught up in the usual frenzied pace (we are trying on this end ;-). We recognize that many of you were not able to make it out to LA this year, so we want to make our insights available directly to your inbox. This year we were pleased to present two main sessions—the first with FPP EDU Media (see link below) on our latest prospective international student research on the influence of US Executive Orders and Brexit. This research will result in our next Know Your Neighborhood report – our team is hard at work on that already. The second presentation, with Megan Prettyman from Montana State University, was on best processes for selecting and implementing a CRM System for your institution. According to Hubspot, 55% of visitors spend less than 15 seconds on your website. That isn’t much time, so you will have to make the most of it—that’s where we come in. This week we focus on some basic digital marketing tips. 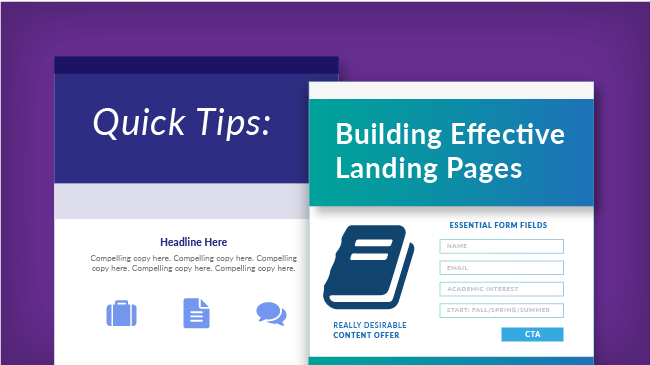 We are bringing you a selection of landing page design and content approaches to increase conversion rates—the essential tools for effectively recruiting prospective students online. Landing pages can help you effectively drive visitors to fill out information capture forms or guide them to the most relevant section of your website. 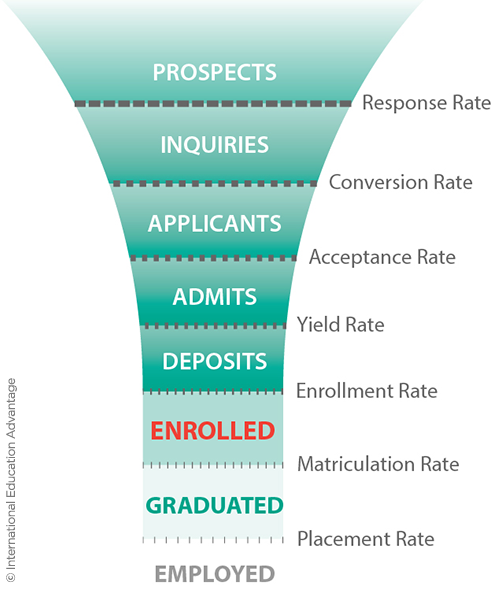 Well-designed landing pages can increase your chances of turning visitors into leads, and converting those leads into enrolled students. Hit your target audiences with key, search optimized information and relevant offers; make the search easier for them, and the chance of conversion is higher for you. This digital marketing lingo may be a bit intense for some of our academic readers. Chances are there is someone on your staff charged with making your website and your digital marketing work really well together. That person would really appreciate it if you sent them this post. It might simply confirm that they have their act together, or it might spark a few new ideas. 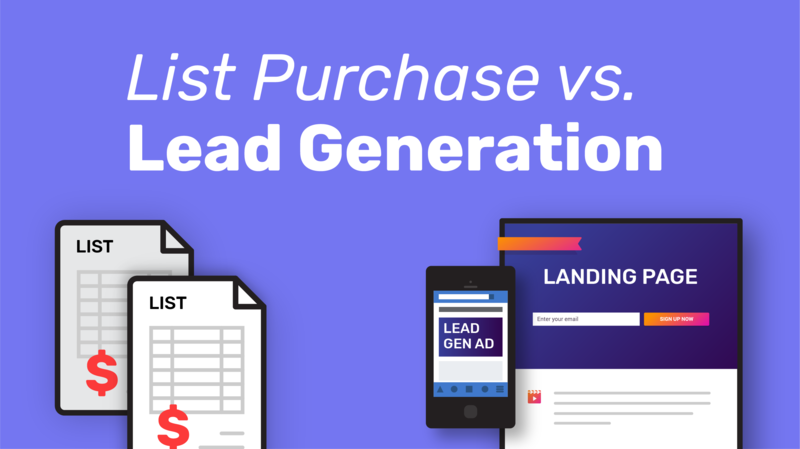 And if that person is you, read on to get our take on how a strong landing page will increase your lead conversion rates. We write a lot about digital marketing in the international student recruiting field. And we write in-depth about digital marketing. So while we’re down here in Miami at the AIRC and ICEF conferences sharing what we know in various presentations and workshops, we wanted to share our top 5 tactics for digital marketing for our readers who are still back in the office. If you happen to be in Miami for the conferences, stop by any of our presentations to say hi and learn more about CRMs, using language programs to recruit, and our favorite topic – data, trends and how to use this information to recruit effectively. Bottom Line: You need to get to know your audience. What works well for them? What do they respond to? 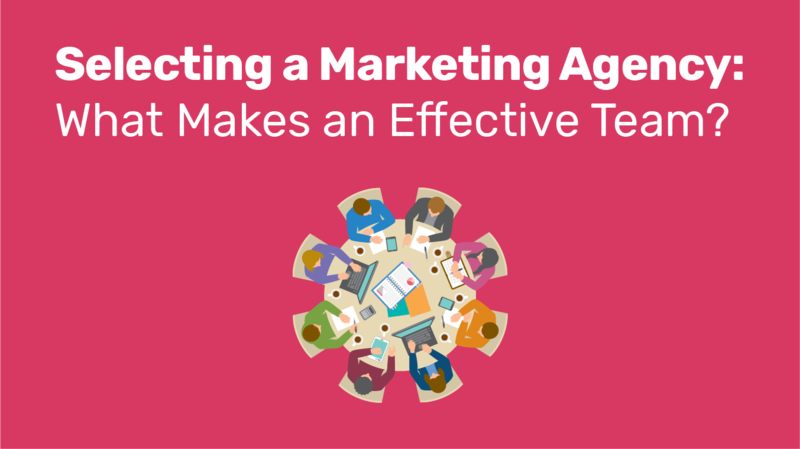 Using segmentation and personalization can go a long way in communicating with a lead. Another good way to reach students online is to optimize–everything! You want to be on as many search results pages on Google, Baidu, Facebook, and WeChat as possible and your content should be shareable. But, make sure the content popping up is good content. How will you know if it’s good or not? Analytics! You should always be tracking your analytics to determine which ad, email and social media campaigns are working for you to reach the students you want to reach. Think about it, if you could only choose five things to add to your digital marketing plan to survive in the digital world, what would they be? Go ahead and make your list. We’ll see if it matches up with ours! 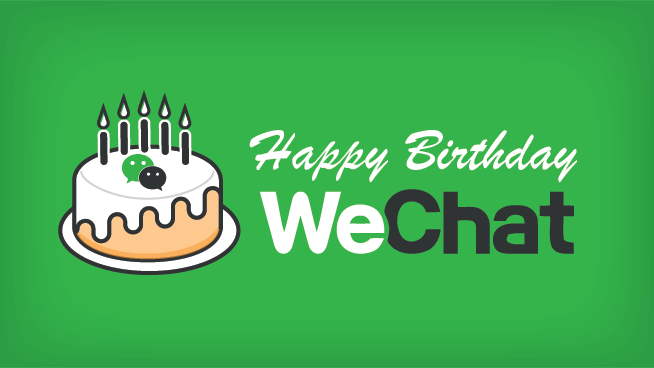 This year marked the 5th birthday of WeChat. Trust us, they had a lot to celebrate! In April of 2015, it was reported that WeChat’s monthly users were second only to WhatsApp and far ahead of similar apps like Viber, Line or SnapChat. We should also mention (in case you don’t already know) that WeChat is almost exclusively used in China. Social media marketing staff take note! If you look only to the usage rates of their Chinese users, WeChat beats other messaging apps by a wide margin. In 2015, WeChat was ahead of competitors by 25%. And most of their users? The young audiences, the prospective students, we are all trying to reach! If you haven’t been on WeChat in the past, it is no longer something you can ignore. Just in case you haven’t heard of it (because you’ve been living in Antarctica or something), and you’ll want to hear about it if you want to recruit in China, WeChat is a messaging app. Back in 2014, we featured a two-part blog series on WeChat (Part 1 and Part 2). We hope you are using those resources. In June, eMarketer released a report on WeChat’s Chinese user base and how these users engage with the app. So, today we have more. Bottom Line: Get on WeChat. Chinese users make up nearly 93% (~700 million) of all WeChat users and its popularity surpasses any other similar Chinese messaging app. The app is becoming more and more integrated into daily life as WeChaters link their bank accounts to use the app for online shopping. Marketing on WeChat only promises to get more effective as time goes on. Pro tip: the stats in this post may help you justify increasing your international student recruiting budget if China is a primary target recruiting source for your institution. Meet Us In Newport & Miami: Heading to the NAFSA Region XI conference in Newport, RI (Oct. 18-20)? We’ll be presenting our latest recruiting insights. And in December we will be in Miami at the AIRC and ICEF conferences with digital marketing presentations and workshops. We’d love to meet you and discuss the challenges you face in your work. Please be in touch if you'll be at any of these events. Did you know that, even in the digital age, the most effective marketing strategies for universities involve direct interaction with prospective students? In 2014, Hanover Research released results of a survey that showed just that. This is big news! Why? Because even with all the online and print promotion that you are doing, one-on-one connections still drive recruitment! And not only that, they really work. Now you’re probably thinking--that one-on-one contact is really a lot of work and hard to scale! We get that. Reaching out to students one by one can take a lot of time and effort. But remember all of those international students you worked so hard to recruit and admit to your school? Hanover Research suggests “mobilizing alumni networks and current students to become your brand ambassadors.” This is just one approach to maximizing your student recruitment opportunities. You have a wealth of knowledge about and great connections with your target populations right at your fingertips. Are you wondering how you can start utilizing your resources? We’re going to introduce you to 5 ways you can use your new institutional ambassadors to spread the word about your institution, get their network talking and keep prospective international students engaged. We're certain there is someone on your staff who would value this post, so share away! Special note: Intead is once again honored to present our latest insights at the NAFSA Region XI Conference (Newport, RI, October 18-20). Our session, A Mystery No More: Successfully Engaging Students in China and Beyond, will reveal the results of our international student mystery shopping experiments of your peer institutions. Best practices, with a focus on digital marketing, will be explained for prospective international students from initial contact through enrollment. We'll place special emphasis on social media factors that affect student recruitment in China. We would love to meet you and see if our experience can help you address the challenges you’re currently facing. Yikes! Does Your Staff Understand the Value of a Lead? 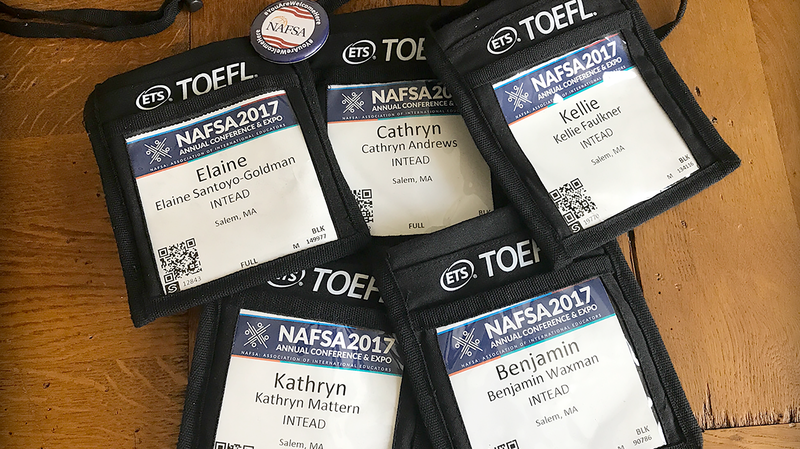 We're back from that wild ride that is NAFSA! Thank you for all those who met with us and participated in our presentation and the insightful discussion that followed. Our slides will be available to you via this blog soon. Today, we want to talk about the value of your student leads and how easily they might be lost. Here at Intead we regularly hire international students on OPT and CPT among other internship programs. Over the years, we have had amazing talent in our offices from China, Brazil, Japan, Mexico, Colombia, The Netherlands, Pakistan, Spain, France, and more. They give us incredible insight into the international student experience while producing great work. They help us help you. Some of them are interested in continuing to work in the U.S. Others are eager to take their skills back home to launch their new career path. We find their vibrancy and growth inspiring. Today, I’d like to share a brief story that might just push you to re-evaluate your front line recruiting processes. Given the effort and money you put into generating leads, losing the high value leads is enough to make you tear your hair out. Our recent experience with 5 universities here in Boston, one of our country’s education Mecca’s, shines a light on the importance of your front line staff and how often they may be slipping. Please read on.